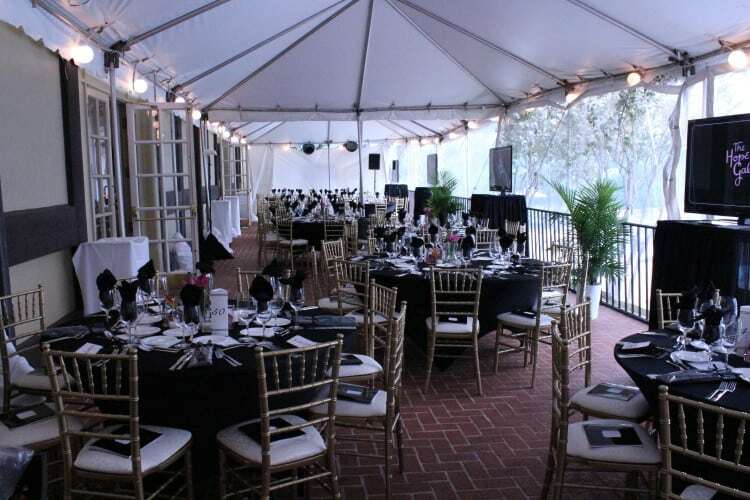 We were fortunate enough to be asked to provide the linens for the 2012 Hope Gala at the County Club of Birmingham, benefitting the American Cancer Society. 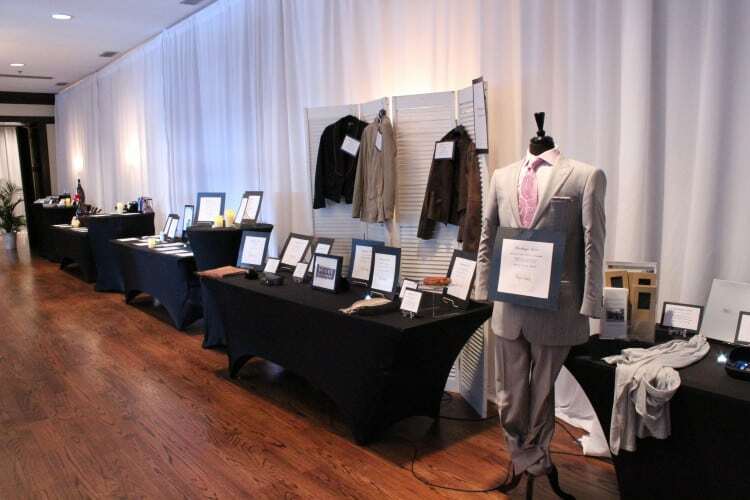 The event took place throughout several portions of the club, including the main ballroom, the outdoor patio adjoining the ballroom, a main foyer and corridor within the County Club, which led to the silent auction portion of the event. It was a very inviting layout for the guests. 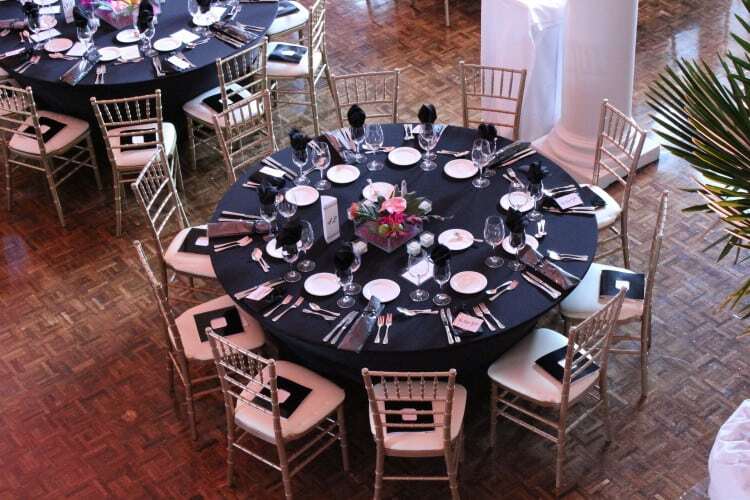 The silent auction rooms offered a lot architecturally, but the simple look of our black spandex linen was just the perfect touch to provide a nice base for all the items available for bidding. 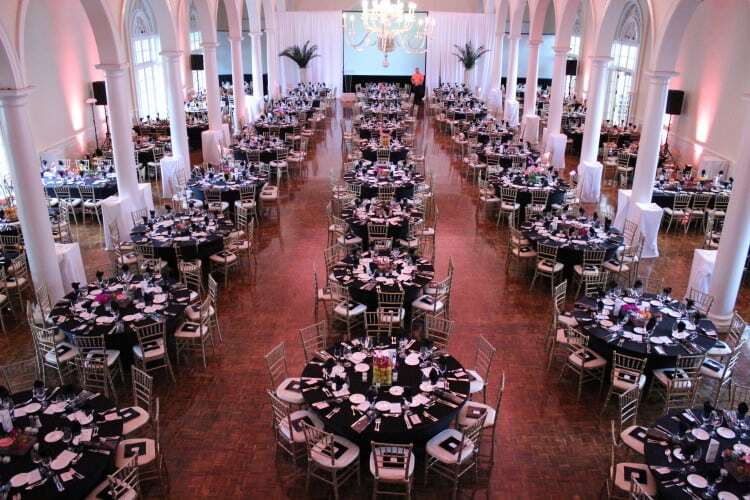 The balance of the ballroom worked well with the seating provided for all the guests. 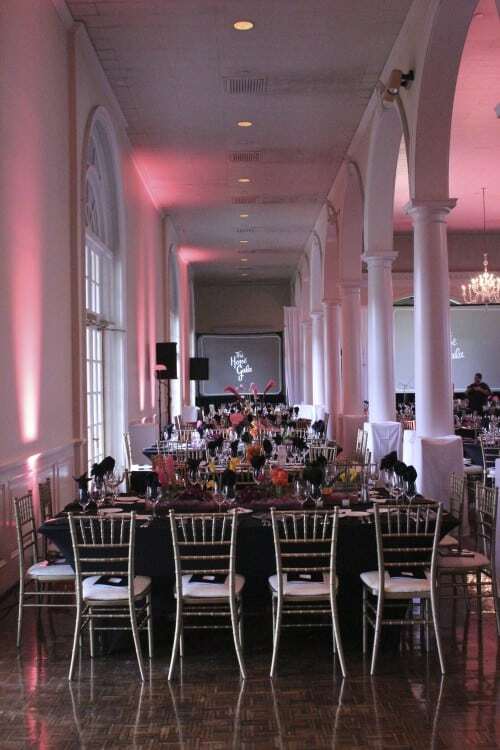 Notice the palm trees throughout the room brought in by Dorothy McDaniel and her wonderful team! 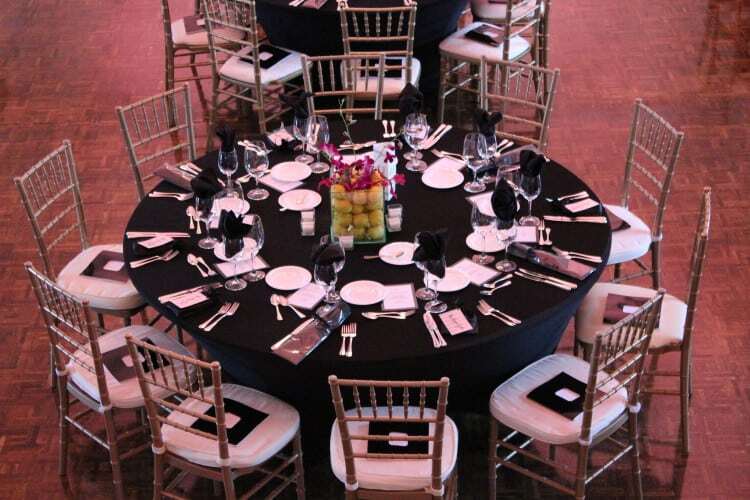 The floral designs paired beautifully with the sleek black spandex linen used for the guest seating.